Because Link is a key part of onboarding your users, we’re always striving to make it fit in seamlessly with the rest of your experience. Today, we released the ability to customize copy within Link. You can now directly edit copy for the successful connection, reconnection, institution select, and institution search views for both Link web and Link iOS. 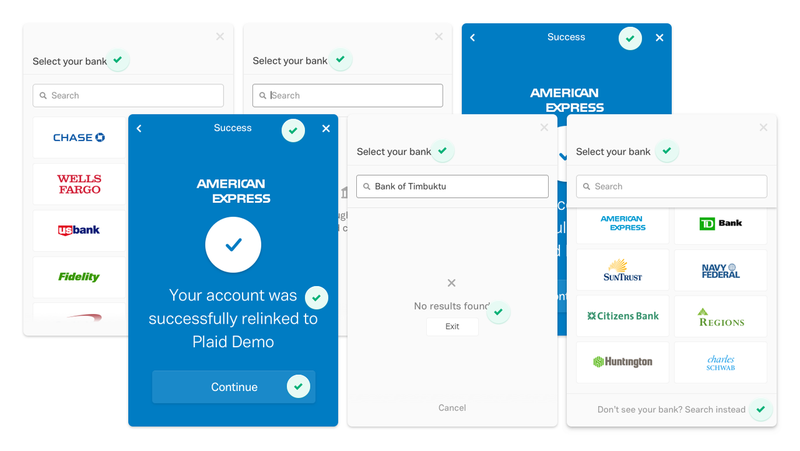 Editable elements include titles, messages, and buttons, allowing you to use custom-tailored copy to communicate with your users throughout the account linking process. You can make these customizations right from the Dashboard — no integration changes needed — and they’ll show up instantly in Link. This is just the first step in our goal to make Link feel familiar while working for every kind of experience. Over the next few months, we’ll be releasing a series of new features that will allow room for more customization within Link so that you can take advantage of the same technical and security benefits Link has always had in a way that’s even more consistent with the rest of your app. Itching to make some copy tweaks? Give custom copy a try and let us know what you think!